Franz Joseph Haydn is a cornerstone of the Classical Period of music. He came at a time when the influence of the church on musical development was diminishing and this influence was moving towards the nobility who employed composers to provide entertainment for their guests. In Haydn's case his employment by one family was a happy and rewarding one, which gave him a lot of freedom to explore many different aspects of music. This experimentation and the experience gained allowed Haydn to play a crucial role in establishing many of the key classical forms such as the Symphony, the String Quartet, the Sonata and the Concerto. Although versions of all these forms already existed, Haydn was the principle composer to establish and promote them. A key component of all these forms is something called "Sonata Form" which was normally used for the first (and sometimes later) movements of a works. Haydn's key role in classical music, his reputation across Europe, and the wealth of music he created over the years, earned him the knickname "Papa Haydn". Haydn was born in Austia, he learned the harp at an early age and became a boy singer in a choir in Vienna. The music he learned to play and sing, and the folk music of the areas he knew kindled a keen interest in music and it became clear that Haydn was destined for a musical career. He left the choir when his voice broke, embarked upon a self-study of the music of various composers and received some further musical instruction while building his musical experience. When he landed the dream role of Kapellmeister to Prince Esterhazy while still in his late 20s, this began a long period of financial stability with huge opportunities to refine his craft. The job entailed writing and arranging performances of many types of music - religious music for the chapel, operas for the large theatre (the Esterhazy's had a large estate) and chamber music for all kinds of events and celebrations. Allowed to experiment, find his own way and explore many different aspects of music, Haydn developed a keen grasp of musical knowledge. His style went through a number of phases as different facets of his musical growth came to the fore. Although it was a characteristic of music at the time that it obeyed the rules of "form", Haydn did not see these rules as constraints and frequently bent these rules and added variations and ideas so that his music never stagnated. Haydn rarely travelled far from the Esterhazy properties although he did meet and form a mutually rewarding relationship with Mozart on a visit to Vienna. Haydn outlived several heads of the Esterhazy family and one change in leadership gave him the opportunity to travel further afield and he was to visit parts of Europe and especially London where he discovered the works of Handel. He made another fruitful visit to London later, where he composed and conducted a number of new symphonies. A sign of Haydn's fame in later life and the political times in which he lived, is that the invading Napolean put a guard around Haydn's house as the composer lay ill. No doubt the composer would have approved when Mozart's Requiem was later played at his funeral. Haydn was born during the time of J. S. Bach and the final stages of the Baroque Period and contrapuntal music was well established. Haydn was very much influenced by developments made by Bach's son C. P. E. Bach who, moving away from his father's teachings, brought drama and originality to his keyboard works and helped to establish early Sonatas and Symphonies in 3 movements. 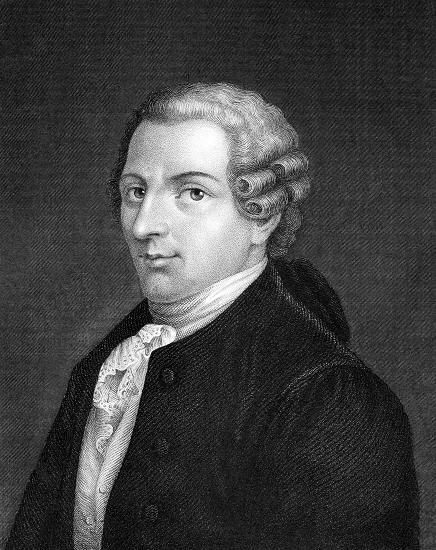 Another major influence on Haydn was Johann Stamitz who was a pioneer of the Symphony, and he was also influenced by the concertos of Antonio Vivaldi. For much of his life though Haydn was at work in the Esterhazy court, with only the occasional outside influence. He therefore relied heavily on his own thoughts and ideas, and the results of his own experimentations to drive his musical thinking forward. Haydn's contact with other composers or their works frequently resulted in further inspiration, often mutual. As previously noted, he discovered the works of Handel while visiting London. Haydn too influenced many of his contemporaries as well as later composers. He was full of praise for the talents of Mozart, but Mozart himself was clearly inspired by the works of Haydn although he was to explore new directions himself. Beethoven was also greatly influenced by Haydn and studied with him for a time. Although in comparison with these great composers Haydn became comparatively forgotten, he nevertheless has much to offer especially his Symphonies, String Quartets and Keyboard Sonatas. Although the name of Joseph Haydn is very well-known today as one of the founders of the classical school, it should be noted that his youngest brother Michael Haydn was also a well-respected composer. Michael Haydn started his musical career following in his brother's footsteps when he also became a boy soprano in Vienna. As a composer he was almost as prolific as his older brother, with 40-plus symphonies and 12 concerti, though there are more uncertaintainties about the catalogue of his known works. Indeed there have been instances of confusion in attributing some of his works, with some being previously attributed to Joseph Haydn and some works previously though to be by Mozart. Michael Haydn was friends with Mozart and indeed some of Mozart's best-known works were inspired by Michael Haydn's music, including Mozart's Requiem and Symphony No.41. Choral Works - including "The Creation" (Die Schapfung) and "The Seasons"
Masses - including the "Nelson" and the "Theresa"
Opera "Il Mondo della Luna"
Symphony No.31 - "The Horn Signal"
Symphony No.45 - "The Farewell"
Symphony No.103 - "The Drum Roll"
Symphony No.104 - "The London"